Franchise operator Anytime Fitness has begun the roll-out of a new interior look for its clubs, aimed at adjusting its offer to cater for the increasing popularity of functional fitness training. The new design will see clubs split into various training zones with an open-plan layout, providing a more "welcoming and contemporary" environment for members. While all clubs will be encouraged to create their own, bespoke layout to suit the property and its audience, franchisees are provided with several ‘Brandatories’ to ensure consistency across Anytime’s global portfolio. The Brandatories are compulsory elements that clubs must incorporate in their fit-out, including the use of certain materials, colours, graphics and feature elements which contribute to creating a training environment that "builds stronger relationships among members, trainers and staff". They will be located outside and inside the club so that both regular members and any person walking on the street, can recognise an Anytime Fitness club, even when the logo is not visible. As well as improving the gym experience, the new designs have been designed to drive down fit-out costs and contribute to a more profitable business. 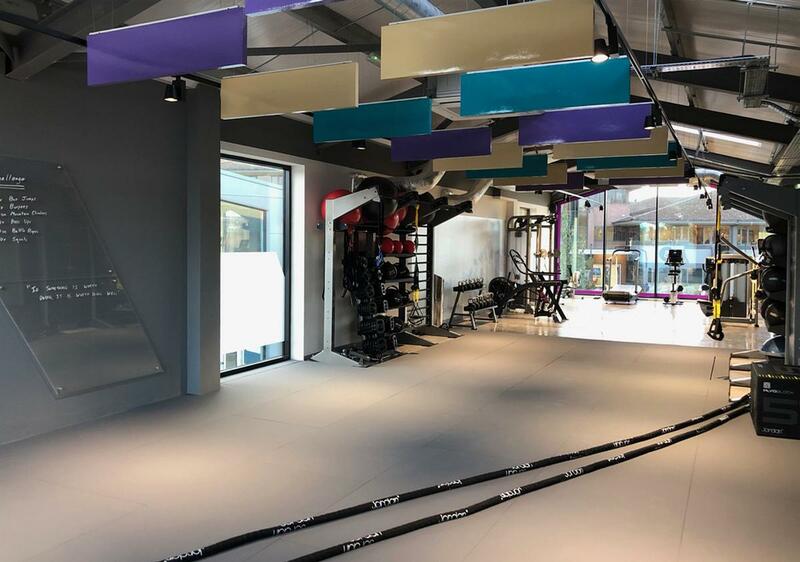 The first UK club to open with the new, modernised interior design is Anytime Fitness Croxley Park – a two-floor, 7,000sq ft club which opened this month in Watford, Hertfordshire. “We’re driving change in the industry and our new roll-out represents a huge step forward for the brand,” said Stuart Broster, Anytime Fitness UK CEO. “The needs of fitness consumers continue to evolve, and the new layout will allow current and prospective franchisees to provide members with modern training facilities. The new design layout is part of a wider global strategy from Anytime Fitness to enhance the experience for its members. In the UK, the changes are part of a rebrand for Anytime Fitness, which has switched its brand positioning from convenience to coaching. • UK-based Janasa Aerial Filming has produced a virtual tour of Anytime Fitness Croxley Park, visualising the new designs. To view the virtual tour, click here.